From a photo shoot with some friends in the Strip District. Really cool cars, really cool cars. 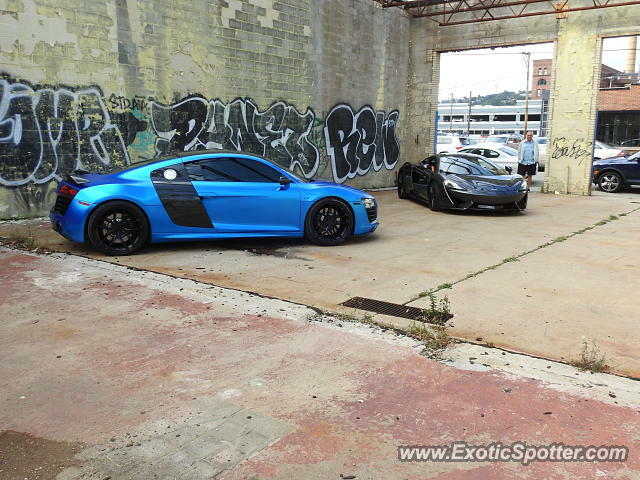 I rode in the blue Porsche Cayenne in the background. The owners are @j.leun and @pghpokerpro on ig. @steelcitysupercars was the driver of the Porsche. Was a blast. @MarylandSpotter Of course, but by then, it will likely be a Huracan, as the Gallardo will be a classic! Likely about 10 years or so, give or take... I get the age thing, as I'm a sixteen year old college student, who friends are all in their mid-twenties, so it's possible to overcome! I'll give you a follow on Instagram, I'm @hot_metal_trading . @MarylandSpotter Also, when you attend your local cars and coffee, make sure to be very social, speak to EVERYONE, looks can be, and are, deceiving. Most of the guys I know who drive these cars, and I don't mean this as an insult at all, don't look the part. One minute you'll be chatting with some guy, an average Joe, you'll ask him what he drives, and he'll point at the cherry red 458 a few feet away, un-ironically. Nothing special for now, just my yellow 16' Nissan Juke. One of the last yellow ones produced, I like it, quite manageable. Something special coming soon though... That being a Volkswagen Thing, if I'm lucky. Also saving for a blue Gallardo Spyder, but that's a few years away... For now, just enjoying exotic turo rentals (cheap astons, Maseratis, this year maybe a Gallardo) and my friends sweet rides! Lol, it's pretty easy. All it takes is attending a cars n coffee or two! @MarylandSpotter Thanks! The owners are great guys!